ESSENDON has locked in six of its 10 top-up recruits after premiership Cat Mathew Stokes and ex-Brisbane Lion James Polkinghorne officially signed with the club. Stokes trained with his new Bombers teammates at a wet Tullamarine on Friday morning after passing a medical last week. The 31-year-old played 189 games for the Cats, including the 2007 and 2011 premierships, and last pulled on the boots for NTFL club Palmerston in December. 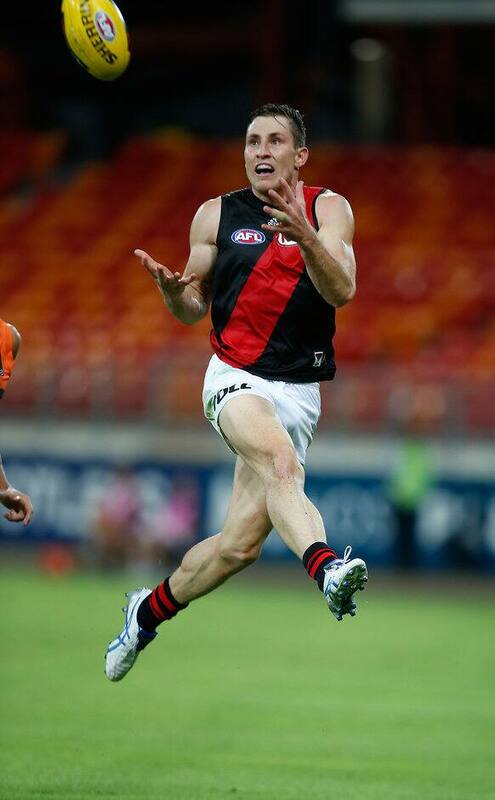 Polkinghorne, who played 94 games for the Lions, played for the Bombers' VFL team in 2015 and was a natural fit under the club's plan to target mature recruits. The 27-year-old won the club's VFL best and fairest last season. Stokes and Polkinghorne are joined by the former's ex-Geelong teammate James Kelly, former Docker Ryan Crowley, premiership-winning Hawk Jonathan Simpkin and delisted Tiger Matt Dea at the Bombers. Essendon football manager Rob Kerr said the club's strategy was to bring experienced players into the fold. "We are building a squad that will enable us to be competitive this season and the players we have selected align with the club's vision and culture," Kerr said. "The current squad has put a lot of hard work in over the summer to date, and the challenge is to keep the group motivated and focused on the season ahead. "We have depth in our young talent and this season will be a great year of development for them." The Bombers now have four players to sign before the cut-off date on March 15.